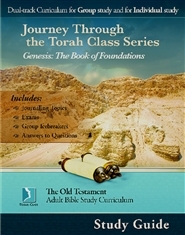 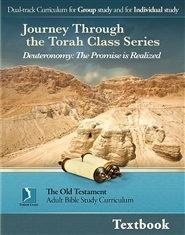 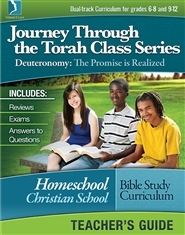 The Homeschool companion Teacher’s Guide is meant to be used in conjunction with its associated Journey Through the Torah Class series textbook to form a complete curriculum. 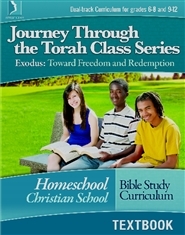 Perfect for Homeschool and Christian School academic environments, this guide contains lesson plans, reviews, exams, and answers to the exam questions. 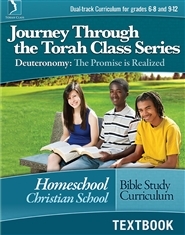 The Teacher’s Guide contains dual track curriculum: one track for Middle School students and another track for High School students. 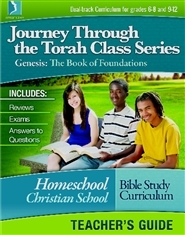 It has been designed for flexibility and adaptability for various student grade levels and mixed age groups, pace, teaching styles and settings.